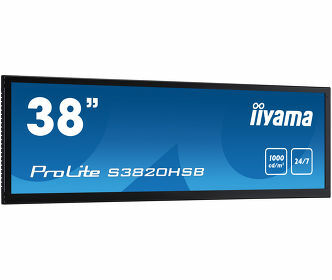 iiyama International, the leading manufacturer of desktops, large format displays and touch screens, is proud to present the ProLite T3234MSC-B2X, a 32 inch Projective Capacitive touch screen monitor with 10 point touch support. ProLite T3234MSC-B2X delivers outstanding features including a high contrast ratio, fast response time and two high quality speakers. 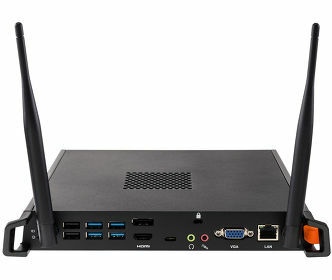 The screen is provided with VGA and DVI, as well as USB for the Touch sensor itself. An eye catching ‘zero bezel’ design offers an edge-to-edge glass front made of robust glass, which makes this product very suitable for use in public environment. The ProLite T3234MSC-B2X is therefore an excellent solution for Interactive Digital Signage, Instore Retail, Kiosks, Gaming and Interactive Presentations, and one of the best commercial touch display investments. 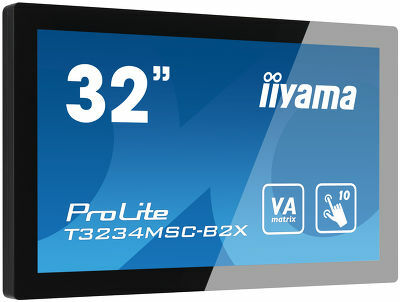 The ProLite T3234MSC-X will be launched across Europe by iiyama on 3 June 2013 and will be available at a retail price of £1999 excl. VAT.